It’s time for Morris Mole to go home after a long day of working at Gordon Ratzy’s restaurant. But there’s only one problem... he can’t find his glasses anywhere! Morris decides that he knows the way well enough to find his home without them. Poor Morris pops up in all kinds of homes to unsuspecting families. He eventually finds his home, through the aid of smell (of delicious worm noodles), only to be told that his glasses were on his head all along! 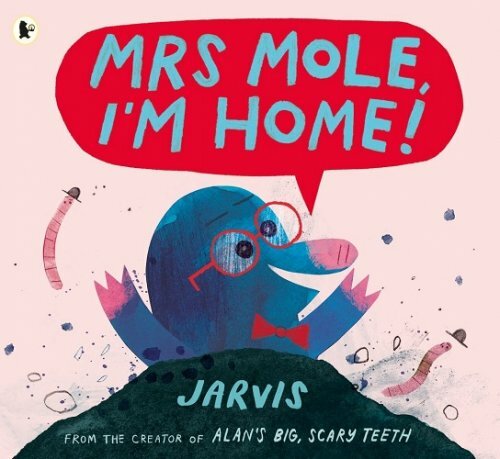 ‘Mrs Mole, I’m Home’ is a brilliant picture book that will have both kids and adults smiling from ear to ear. The story is funny and entertaining until the very last page. Although it has a predictable ending, the twist on the last page will allow children to draw inferences about what might have happened to Morris Mole after the story has finished. The fun illustrations are full of things for children to describe. It’s also packed with visual and textual jokes that will keep older children and adults amused. The repetitive nature of the story will appeal to children and is also ideal for developing the speech and language skills of little ones. There are many opportunities to practice negation during this story (e.g., “That’s not Morris’s home,” “Is that Morris’s home? No.”). There are multiple setting changes throughout the story as Morris pops into different animals’ homes, making it a fantastic choice for working on setting descriptions. It’s perfect for targeting narrative retell, and sequencing skills as the story also has a clear problem and sequence of subsequent events. For further speech and language targets in ‘Mrs Mole, I’m Home,' see the list below.